When TeamViewer is run in “Unattended Mode”, it can be activated using a nominated password instead of a randomly generated one. If that nominated password, is also used for other online services, it is then more vulnerable to being compromised. 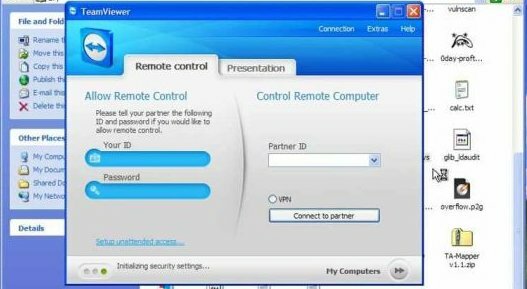 A compromised password could then be used to gain unauthorised access to a computer, via a TeamViewer login. Always be vigilant with all password security. Use a unique password for TeamViewer, that is not used for any other purpose. The login passwords that are generated on an automatic basis by TeamViewer are not vulnerable to the same possible unauthorised use.